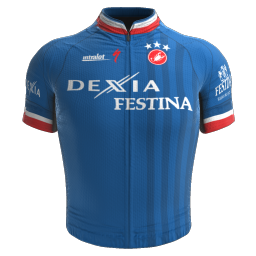 3 Seasons back-to-back champions, Festina-Dexia, are back for yet another Pro Tour season. Team manager, Andreas Jøhnke, stated in a press release earlier in the month, that in order to keep the team developping a rather big change was needed. 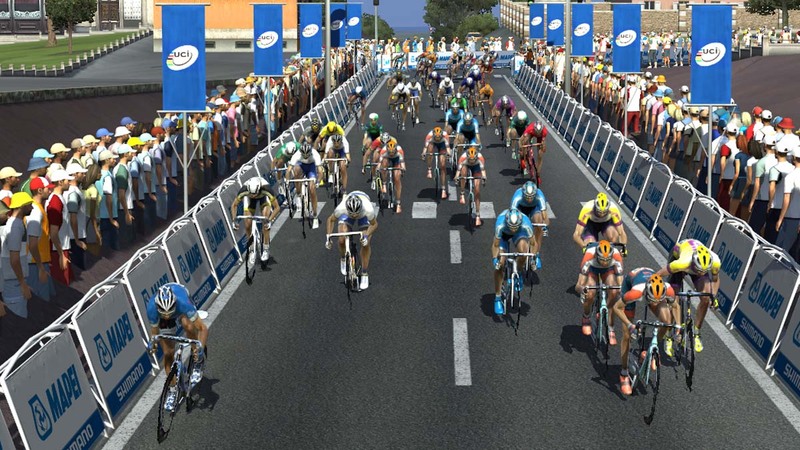 A big focus have been on winning the title aswell as the Tour de France in the past 2-3 seasons. Now it is time to make the talents go from talent to leader, meaning that room will be made for the french talents within the team. We have assembled the best result of all races throughout our presence at the Man-Game, under the name of Festina (+/- something else). These are our best results in all races we have ever ridden. A lot of races have changed status throughout the years. The "Status" column shows at what level the result was achieved and the "Current" column shows at what level the race is currently ridden - if still on the calender. Below the spoiler you will find the same table, without the status of the race added. This only because of the table format and the way the site reveals information. Emerson Santos is a talented sprinter with a huge diesel engine, signing a contract at the start of the 2017 season. In 2016 he was contracted at Flores - Ceitic in the lower divisions where he was the leadout prospect for Jaime Alberto Castañeda. And before that he was winning small flat, domestique, races in Brazil. Something that the bigger teams never really got to witness due to the low commercial interests of local south american races. In the 2016 season he never showed huge results himself, but consistently being in the first 3rd of the peloton putting in a huge effort for his leaders, he showed enough progress for the Pro Tour champions to give it a go. And while being relatively old for a Pro Tour protegée he did however show a lot of promise in his first ever PT season. After completing the Giro d'Italia with no real effort he went straight to the Vuelta a España and took a role in the mass sprints. 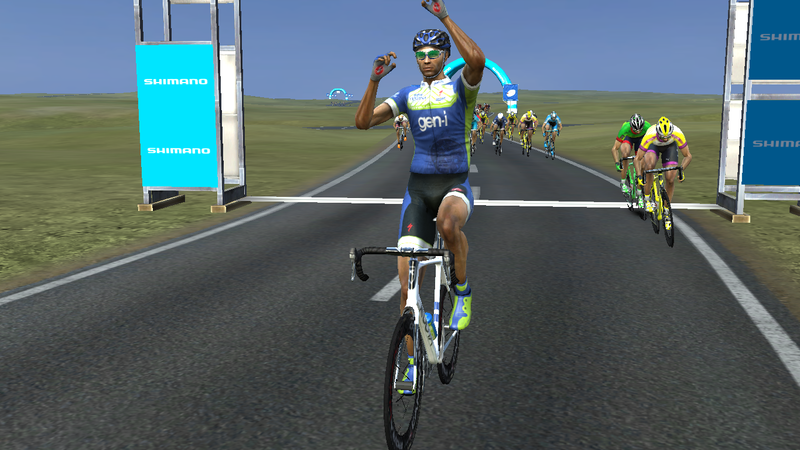 On stage 2 he took home 5th place ahead of riders like Ulanowski and Stauff. On stage 6 he took another top 10, and while the sprinters came short to a early breakaway on stage 7 and 8, he showed that he was among the 10 fastest riders. On stage 11, he made clever use of Sondre Holst Engers slipstream to take 4th ahead of Stallaert, Houle, Vastaranta and other strong finishers. On the final stage, Emerson Santos opened up his sprint early and was leading within the final km, but in the end he wasn't strong enough to keep pushing, and hence ended up losing speed in the end, to take 10th. But there was no doubt in anyones mind, that Emerson Santos was a sprinting talent, that could potentially become dangerous, even at the highest level. "I believe that Emerson is among the strongest possible leadout riders in the peloton. He is very durable, and works well on the flats, while actually surviving mountains better than most european leadout riders. He is clever in his positioning and will be able to pull Coquard to some great results I believe. He has wits to outsmart others on a tactical level, and we are very interested in bringing such an element into our sprinting team. We have never really worked well in creating sprint trains. As a leading sprinter he might not be the fastest, but he did show last season at the Vuelta, that if the peloton isn't packed with the best sprinters he stands a fighting chance. And his chance will certainly come. Even when man-marking Coquard for most of his season." In the upcoming season, Emerson Santos is expected to be the last rider in line to deliver Bryan Coquard, while the team is looking to use Georgios Bouglas and Manuel Stocker while the team is believed to be searching for a strong rider to pick up speed within the final 10km. Renewals have been a struggle in the past couple of seasons, but this time was by far the most difficult. Several riders had to be cut in order to save money, and still we are far far above our budget. Simon Spilak 900.000 kr. 1.200.000 kr. 300.000 kr. Jerome Coppel 550.000 kr. 700.000 kr. 150.000 kr. Pierre-Henri Lecuisinier 525.000 kr. 625.000 kr. 100.000 kr. Bryan Coquard 190.000 kr. 450.000 kr. 260.000 kr. Clement Koretzky 280.000 kr. 350.000 kr. 70.000 kr. Tom David 175.000 kr. 175.000 kr. - kr. Panagiotis Vlatos 120.000 kr. 125.000 kr. 5.000 kr. Jakub Novak 120.000 kr. 100.000 kr. -20.000 kr. Yuriy Vasyliv 80.000 kr. 110.000 kr. 30.000 kr. Emerson Santos 50.000 kr. 95.000 kr. 45.000 kr. Murilo Affonso 65.000 kr. 50.000 kr. -15.000 kr. Pieter Jacobs 50.000 kr. 50.000 kr. - kr. Aidan van Niekerk 50.000 kr. 50.000 kr. - kr. Matteo Fabbro 50.000 kr. 50.000 kr. - kr. Just 14 riders have been contracted for the 2018 season, and we have received a staggering 1,26mio € fine by the UCI for being over the wage cap! Big changes will have to be made in order to get within the overall wage cap, aswell as having atleast 20 riders. Huge changes awaits. Festina wants to get back to French/Greek focus, and having some very interesting talents for the future. 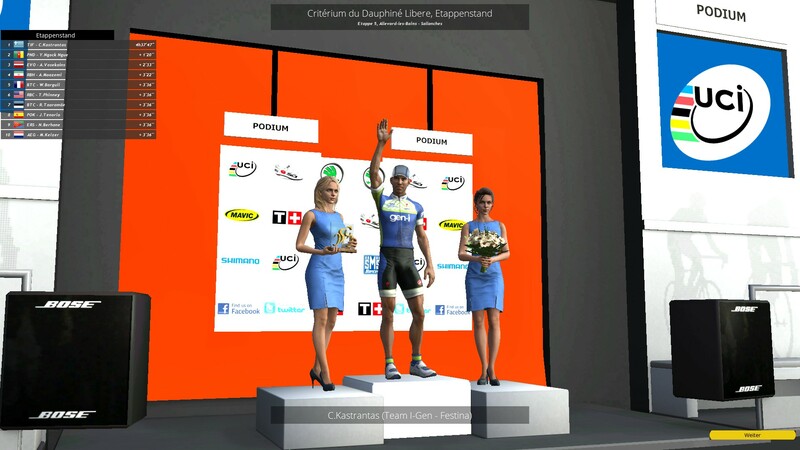 It is time for Lecuisinier, Coquard and Koretzky to take the final step towards PT leadership! Definetely interesting riders on the chopping board in terms of being up for sale. Interesting to see where Spilak winds up. Some huge wage increases here, which I guess must have been expected (at least in part) after a great 2017. Indeed. Some interesting things are likely to happen this off season. I must admit, that I am looking forward to being an active part of the off season again, instead of just doing a little bit here and there. It was expected to some extend, but those were just crazy. Spilak very big increase, which really is too much imo. Also Jerome Coppel performing similar to the season before shouldn't ask for more. Coquard asking for 250% or so is a bit too high, but I was part of the reason for that asking for sprinters to be valued higher. Best of luck in transfers, interesting to watch what directions you take it in with those Greek guys available on the market now and the increasing wages of the team. Oh. Transfers. The best part of the season, just when my behated renewals are over. It has been a nervewrecking couple of days, but we are now happy to announce that two lost sons, have found their way home! Georgos Tzortzakis have a great run for the team, having won stages in the Giro d'Italia, also leading the points competition for quite some time, aswell as taking a major win (the first ever greek classic) in Lisbon Classic. Last season we came to a precarious situation where young sprinter Rick Zabel announced he would ride in the Festina colors, which immidiately led to Tzortzakis searching elsewhere. We accepted this, and sold him to Project: Africa. Unfortunately Rick Zabel decided to move to Team Degenkolb, leaving Festina-Dexia in a bad situation. 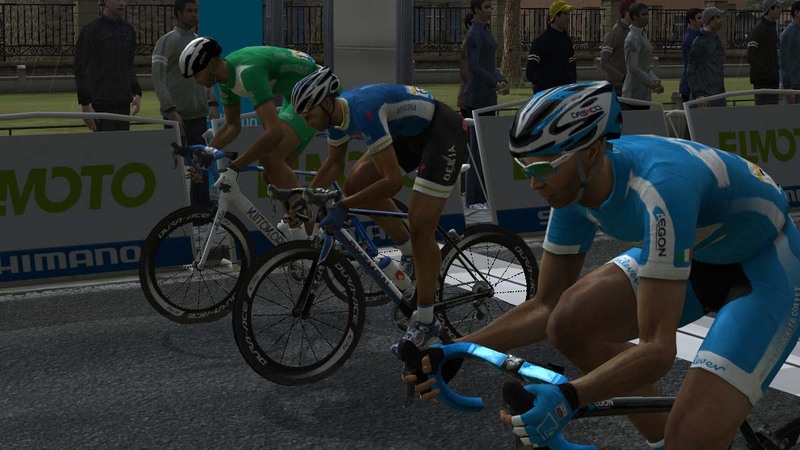 Elsewhere Georgos Tzortzakis started of the season in manor, winning the first stage of the season in Tour of Qatar. The fortune was shortly lived, however, as the Team, Project: Africa came to a drastic halt, leaving all riders as prisoners not being allowed to race all season long, due to technicalities in raceplannings. Circumstances made way for a happy reunion between the two teams, and Georgos Tzortzakis have accepted a very empathic 80.000€ wage in what is likely to be his final season at top level. Georgos Tzortzakis winning Lisbon Classic in style in 2016! It was not as spectacular when Charalampas Kastrantas left the team in the renewals proces. The team had gotten in trouble due to being above the wage cap of the MGUCI, and thus a handshake was made between team manager and Kastrantas, that the initial contract was to be revoked, while a new would be signed immidiately after the processes of MGUCI had taken place. Charalampas Kastrantas have performed well above pundits expectations the past two seasons, winning first a stage at the Criterium du Dauphine in 2016 and later also proved among the strongest breakaway specialists in 2017. It is expected to see more of that in the future. We have been prepared to go very far for this future great, and are extremely pleased to see him developping at this rate! We expect Giannoutsos to be the first ever Greek Top 10 Grand Tour rider with some added nuturing along the way. Welcome aboard! We are happy to announce another 3 additional riders. For more reasons, Archimandritis is a new rider for us. Not only because he has not, literally, ridden for us before, but he is also the first cypriot rider in our team. And to add to that, we have also never had a rider who is equally good at climbing and cobbles, so we get ourselves a very versatile rider, who will be of good use as a domestique basically everywhere. We only want to keep him out of Team Time Trials, but other than that, he is a perfectly suitable rider. The final addition, is actually not new, as he was on a similar agreement as Kastrantas. He was in our squad last season, and now he's back. We will soon present further riders! After a list of new riders being signed, we are also going to say goodbye to some riders. This season of substantial level! Last seasons runner up of the overall ranking, and winner of the Tour de France, Simon Spilak have left the team to join Isostar Slovenija. What more suitable way to end his Festina era, than to join the first real slovenian PT side. Also former world TT champion, Jerome Coppel have decided to leave the team, due to a heavy disagreement on his paycheck. Jerome Coppel joined the team as a leading rider and left after two superior seasons at the very top of the individual rankings. 6 stagewins and 2 GC wins did he end the 2017 season with. Next season he will, however be looking to fight in the PCT, where experts believe he will smash any competition. Besides the two big leaders, also Tom David have decided to leave the team, although in a more orderly fashion, giving the team an opportunity to cover the loss on a 1:1 scale - More on this later. Tom David never really managed to fulfill his true potential in the team, and will also look to go down a level. A final farewell goes to Jakub Novak, who has been playing second violin for quite some time, but having had his chances to shine. Jakub Novak did his best at the Grand Tours, where his diesel engine would come to it's true meaning, but it was always going to be a last for him in 2017. Also Novak will step down a level. We wish to thank those 4 riders a lot, as they have all been an integral part in the team's 3 time winners streak. Having to say goodbye to significant riders like this, will definately hurt our PT chances, but we will soon be joined by a new flank of riders. We are very happy to present another 3 new team members. A huge assignment for us to land Maxime Daniel. We have been so eagerly looking to strengthen the core of French and Greek cyclists this season, and we are pleased that it is seeming to work. Maxime Daniel has been on the block for several years, and through several teams. We believe he belongs at Pro Tour level, and expect him to be a step up from Tom David who unfortunately had to leave in the deal. After selling Simon Spilak we were in desperate need of a new GC rider, and while we are well aware that Chamorro isn't the new Spilak, by any means, it is a heavy upgrade from our former 3rd tiers. Chamorro will be having quite a lot of responsibility at the team and will get to ride atleast one Grand Tour as a captain. We look very much forward to this, and hope he might be able to fight for the KOM or stagewins. Sascha Weber joins from our friends at Puma, whom we expect to take the thrown from us, or atleast podium in our absence. Weber is an obvious pick as we have targeted him before, and will massively strengthen our cobbled setup, while also giving aid to Bryan Coquard in the sprints. We can't wait to see Weber in action. After having already waved goodbye to Simon Spilak, Jerome Coppel, Tom David and Jakub Novak we have achieved offers of sufficient quality to also wave goodbye to another two riders. Murilo Affonso have left after just one season at our side. Affonso is a good mountain domestique and will leave a gap we are not quite happy with, but a mistake in the process of updating finances left us with no choice. We also have to say goodbye to Pieter Jacobs, who also joined last season. We were happy to sign Jacobs as he would serve Tom David well, but after having said goodbye to Tom David, it was natural to also say goodbye to Pieter Jacobs. We wish both riders the very best in their new teams. It is time to present nothing short of 6 new riders! Robin van der Hugenhaben is a very experienced rider, which should go well with our young and talented pool. Robin has been in the lower levels for the past couple of seasons, and while his prime is no longer present we do believe that he does have the potential to do well in the races where we need a rider of his level. The dutch veteran goes extremely well over hills, and climb real mountains fairly well aswell, which makes him a perfect fit for a few races this season, where neither Lecuisinier or Koretzky fits in all too well. Jocelyn Bar is a leadout sprinter that we have actually been chasing for quite some seasons, so we are happy to finally have him secured, although we do find his wage demands slightly higher that what he has proved so far. But having a great need for leadouts for Bryan Coquard we have accepted terms, and are instead looking forward. Bar is a powerhouse and goes rather well over hills aswell as cobbles which makes him a perfect fit together with Emerson Santos in the leadout. A lot of choices. Should he become a top sprinter? Should he become a potential top puncheur? Should he become something in between? No matter what, Pascal Ackermann is (for us) among the 3-4 biggest talents available, and we are happy to land him, despite of the 200K pricetag. The flat and acceleration quality was key for us, and we believe it will be enough as a 3rd-in-line rider for a top class sprinter. A very strong GC rider for Lecuisiniers future GT surge. Romain Le Roux joins on a one-year loan deal. We are very happy with adding such a strong puncheur as a domestique, while also helping another manager with development. Like always, leave a comment on our posts. As usual an active transfer period for but even more active this season I suppose. A lot of interest signings, espacially those greeks since that one of your focus. Weber & Daniel could be a nice duo on those cobbles as said in cio´s HQ Weber caught my eye aswell.